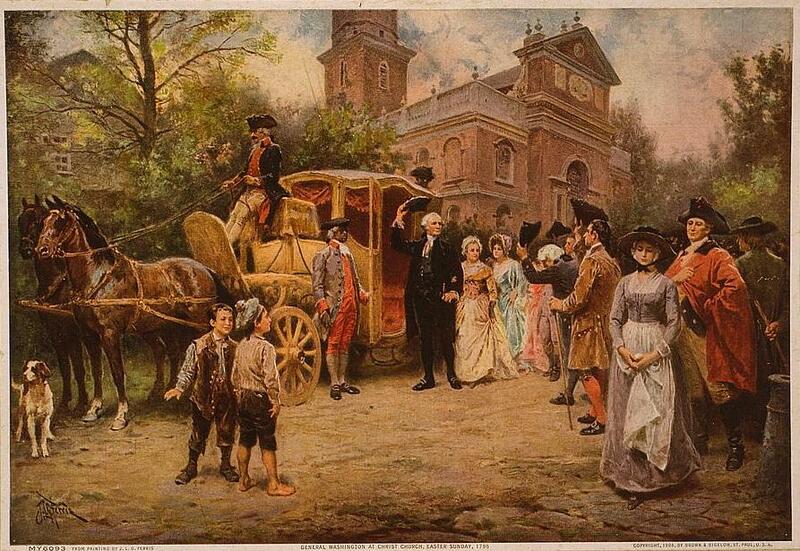 George Washington was chosen as a vestryman for both Fairfax Parish in Alexandria and Truro Parish in Fairfax County. Fairfax Parish was about 10 miles from Mount Vernon whereas Truro Parish was only seven miles away. Washington maintained the position at the latter parish between 1762 and 1784. He was also chosen by his fellow vestrymen to act as churchwarden for three terms. Mary Thompson, “In the Hands of a Good Providence”: Religion in the Life of George Washington, (University of Virginia Press, Charlottesville, 2008), 40-41. For Washington's attendance at vestry meetings, see Diaries (UVA), 2/13/1767, 2/16/1767, 2/23/1767, 11/20/1767, 7/16/1768, 11/28/1768, 3/3/1769, 4/7/1769, 7/24/1769, 6/5/1772, 2/24/1774. 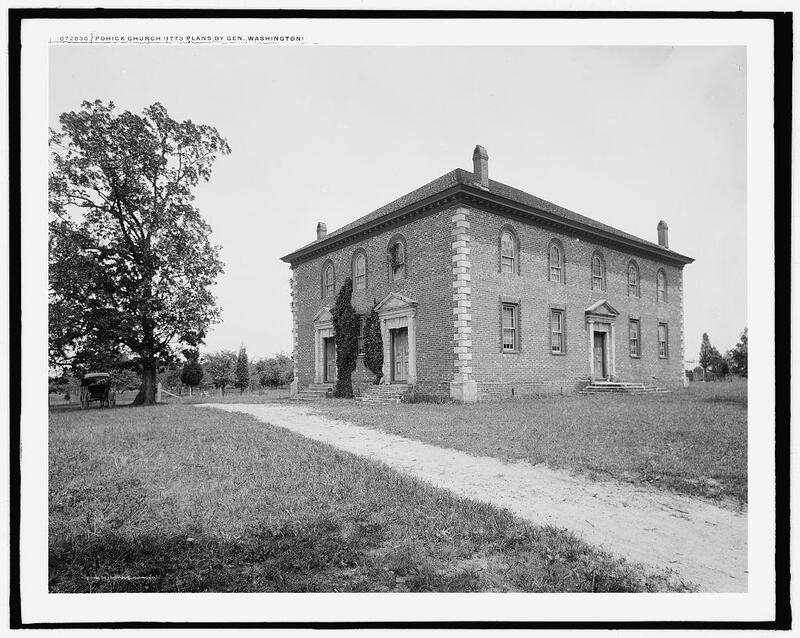 For purchases for Pohick Church, see Diaries (UVA), 3:113n, 234n-235n. For Washington as a vestryman, see Mount Vernon: An Illustrated Handbook, 1981 edition (Mount Vernon, Virginia: The Mount Vernon Ladies' Association of the Union, 1974), 108. For the role of vestrymen in the church in Virginia, see Rhys Isaac, The Transformation of Virginia, 1740-1790, 65, 68; Edward Lewis Goodwin, The Colonial Church in Virginia (Milwaukee: Morehouse Publishing Company, 1927), 78-79; William Waller Hening, The Statutes at Large; Being a Collection of All the Laws of Virginia, From the First Session of the Legislature. In the Year 1619, Volume 5 (Richmond, Virginia: Franklin Press, 1819), 226, and Volume 10 (Richmond, Virginia: Printed for the Editor by John Cochran, 1822), 1998.